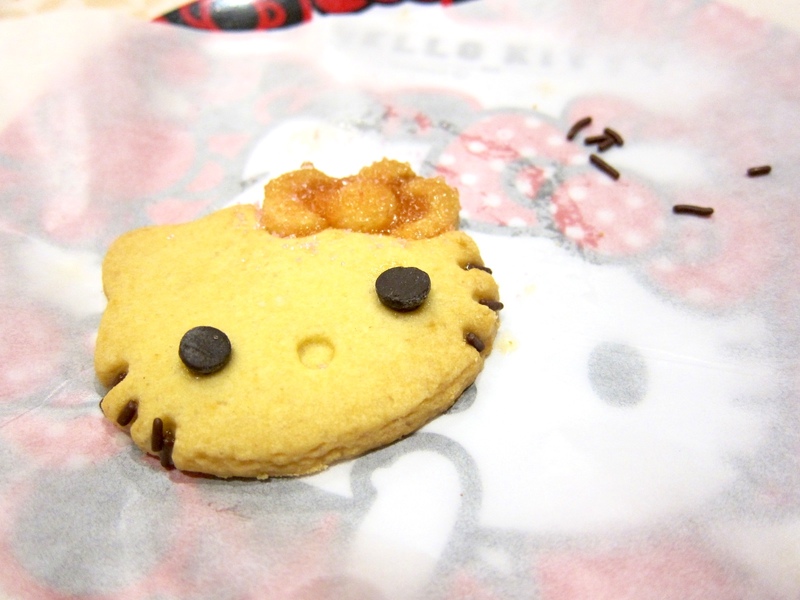 Trip to JB : Hello Kitty Town | escaped. 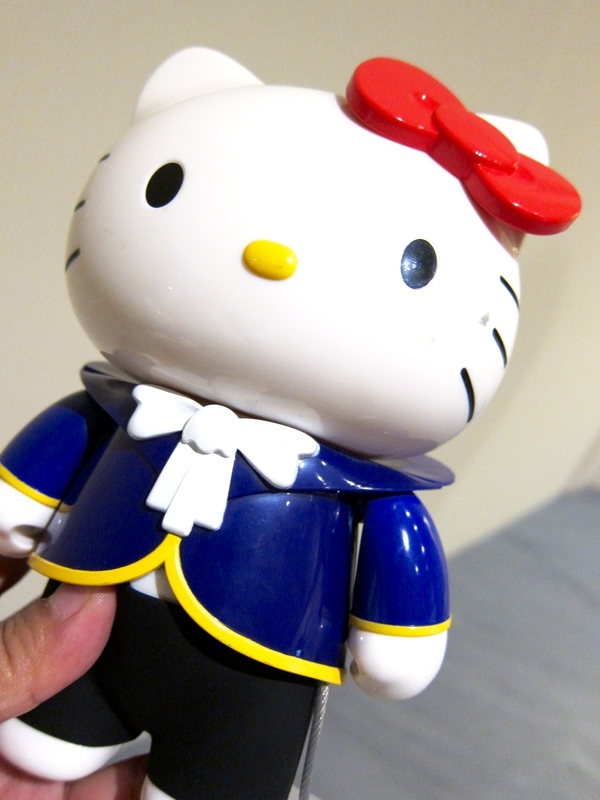 Had my first obsession with HK back when I was in Japan, circa 2008-2009 while doing my degree. I still remember the times I'd pay the supermarket near my apartment a visit - just to spend a few hours there at the girls' section, contemplating whether or not to buy that little white furry soft toy to complete my HK collection. I had its planner, pens, pencils, phone holder, the shenanigans - things human being would actually survive without. Husband knows this, and didn't mind that he's going to spend a few hours in the pink land haha. Think it has something to do with Rayyan being there, too - his new sidekick, he says. How I feel about the visit? The attractions are meant for kids, and kids only T.T I was probably the only one there with the intention to enjoy myself; while all the other people there were for their kids! 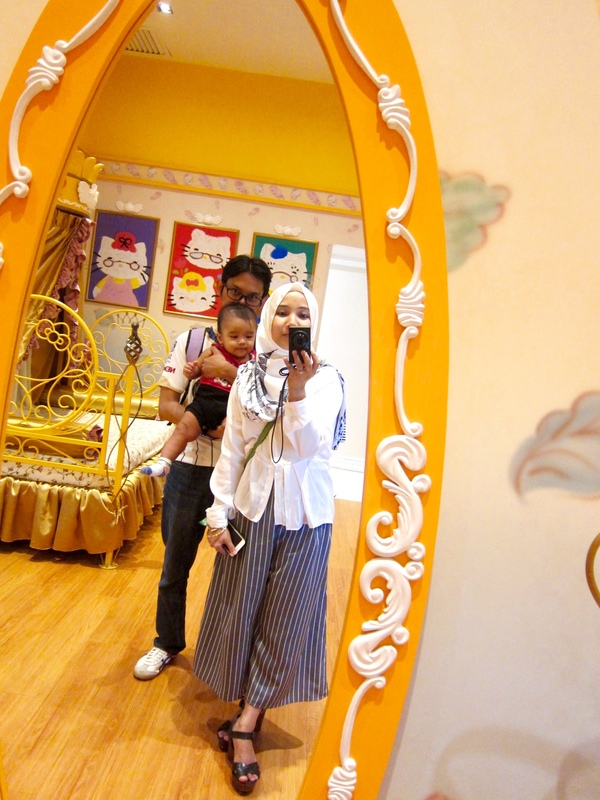 Well, I wanted Rayyan to enjoy too, but he's probably much too young to understand and probably much too macho for pink furry Hello Kitty. Lol. To my shock, the whole place is just as big as an office floor - they have one specific floor for Hello Kitty, and upstairs for other characters (I think it's Bob the Builder or that famous train I forgot its name) and all the attractions are crammed into this one floor. Not all attractions were opened at the time, and occasionally they have shows featuring Hello Kitty and friends. We didn't watch any show, though. Were busy entertaining the unimpressed Rayyan and taking selfies. 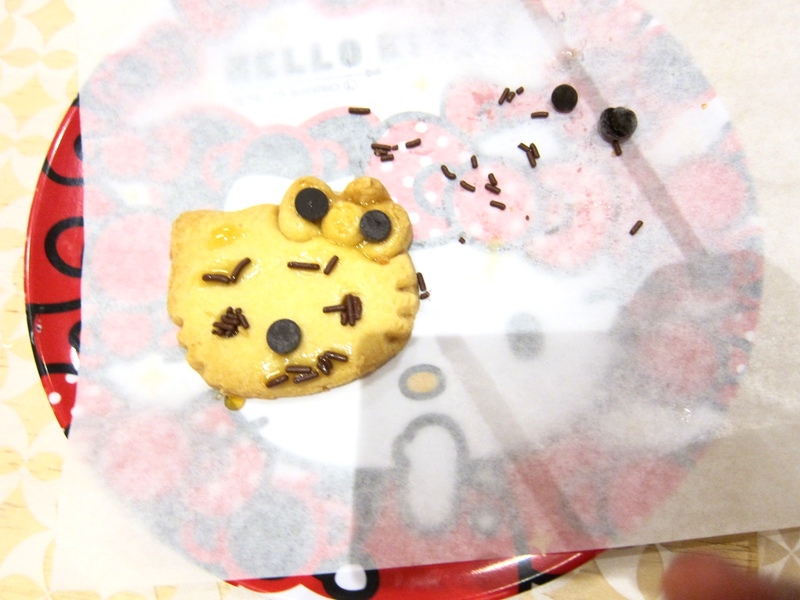 I can't remember all the attractions since we didn't go to all of them - but I remember this cookie making boutique, where the parents (and kids) were given a piece of cookie with HK face on it to decorate, with some glitter sugar and chocolate chips. Other attractions include this section where there were HK dining room, huge mirrors, huge picture frames of HK, cupboards with HK goodies, etc. We were really just killing our time there. Rayyan, on the other hand, wasn't so subtle about how he feels. Thank you Rayyan for teman-ing Mommy to re-discover this little part of her girly obsession. And thanks to the husband too, for making the little girl in me rejoiced during this trip! It was probably be our last time there, but if one day they do more attractions or revamp the place, I'd probably be returning.